Private Classes Available Minimum 4 students. February 23, 2019: Introduction to Color and Fragrance Soaping Class. (Basic Soapmaking is advised ) We will be discussing the addition of Color and Fragrance to basic soap making and the effects this will have. A review of basic soapmaking. Each student will make their own batch incorporating Color and fragrance to the basic batch. Students should bring a large old bath towel to wrap soap in to take home. March 23,2019: Soapmaking with Natural Colorant and additives(Basic Soapmaking is advised) We Will be discussing the use of natural colorant and added ingredients in your bar soaps. A review of basic soapmaking. Each student will make their own batch incorporating Natural Color and additives to the basic batch. Students should bring a large old bath towel to wrap soap in to take home. 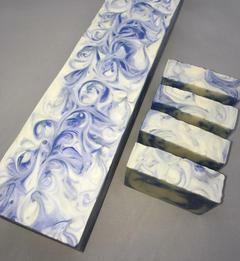 NEW DATE( Due to a Special OLympic Event)April 20, 2019: Formulating your own soap bar, Each student using skills they have learned will be creating a bar soap from start to finish, Oil selection,color,fragrance additives. This personalized bar formula will belong to to the creator and may be used as the base of their own soap business. Students should bring a large old bath towel to wrap soap in to take home. May 25,2019: Making Liquid Soap. This will be a group class making liquid soap , shower gel and a foam soap . We will be using fragrance and color of choice. each Student will be taking home one of each. A large old towel to insulate your soaps. Please wear old clothes or bring an apron.